We need more cars! And this is the addon that adds 16 multi-colored Jeep vehicles for any taste to the game. 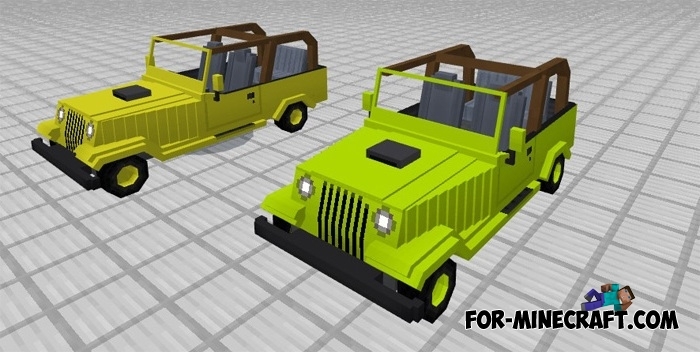 There are green, blue, yellow, red and other jeeps with a realistic appearance. 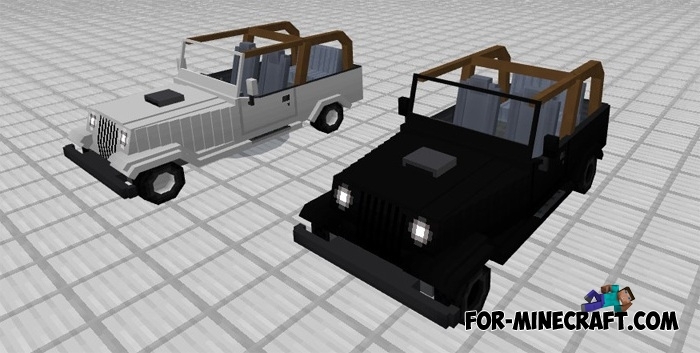 Appearance of the car was made very quality and it really is very similar to the Jeep. This vehicle will be a real iron horse, and will replace any useful creature. Sit in the car and listen to the sound of the engine. Added new colors, now you have 16 cars available. Compatible with Minecraft PE 1.2. The new control system, you do not need a key anymore. Take spider and cave spider spawn eggs and throw in any place. You get a jeep of a certain color depending on which you have installed an addon (there are 5 addons, each includes 2 colors). All cars are the same and have the same characteristics. As always, use a carrot on a stick to drive forward. To get out of the car you need to jump. In no case do not drive into water. 1. 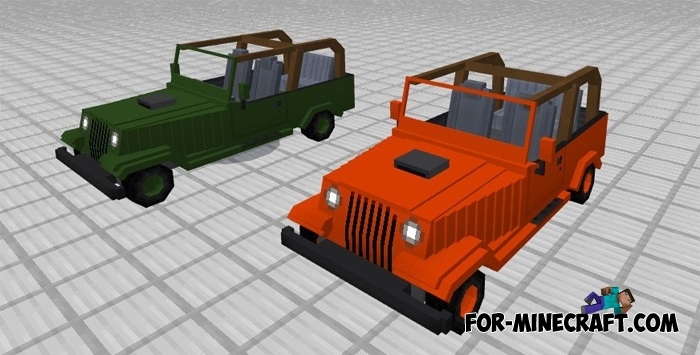 Download the archive and extract Jeeps Behavior Pack.mcpack and favorite color. 2. Start the game and activate these two files in the world settings.